Delicious and like the trials of Hercules. Avocado. It’s the food that makes our economy swirl around a centrifuge, a cheap punching bag when discussing millenials, and a good green spread you can eat. Seems now a days that good green spread is everywhere, which is why we here at What’s Trending want to celebrate Labor Day by celebrating the thing that your hard earned dollars go to be spent on — avocado. Shira Lazar and Tristan Tales are here on Trend Trials to discuss and taste delicious spread. Avocado toast and chocolate? Avocado and jelly? Avocado and jalapeños? All good things. Check them out below. What do you think of the Avocado Nutella mixture? is it good enough for your fancy little palette you picky little weirdo? 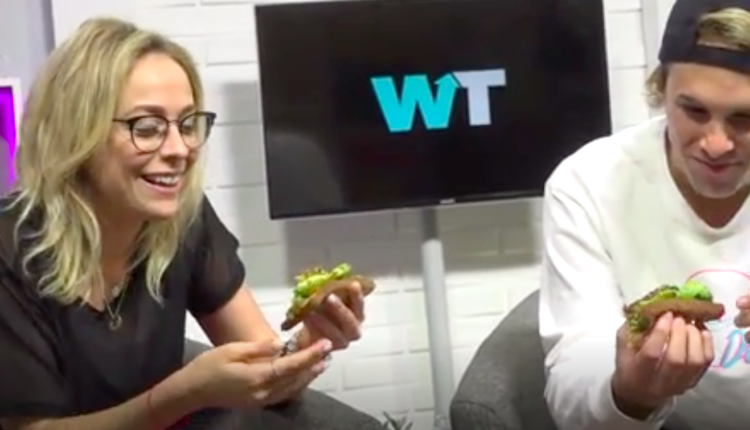 Let us know in the comments or on Twitter at @WhatsTrending, and remember: celebrate Labor Day by celebrating the fruits of your hard earned work, enjoying your time for relaxation, but also having some pretty good avocado toast. It’s good stuff! Oh also, there’s an Avocado with hot sauce. Pretty good right? I think it is. Well, good bye!